Tim is a senior managing director and co-head of Sponsor Coverage at Antares Capital. He is responsible for leading the company’s sponsor coverage activities on the East Coast. Tim was head of Asset Management for Antares from August 2015 through April 2018. 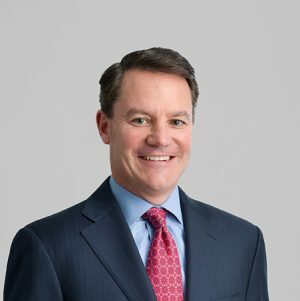 Previously, he was a senior managing director at GE Antares where he was the commercial leader for two joint ventures including the Senior Secured Loan Program and the Middle Market Growth Program. He also led West Coast sponsor coverage activities for Antares and GE from 1996 through 2011, and was a member of the GE Antares Investment Committee. Tim also worked in GE Capital’s merchant banking group and Heller Financial’s corporate finance group. He is a founding partner of Antares. Tim graduated from the University of Illinois with a bachelor’s degree in economics and earned his MBA from Northwestern University’s Kellogg Graduate School of Management.